I started with sautéd onions. While they were sizzling I unloaded the dishwasher. 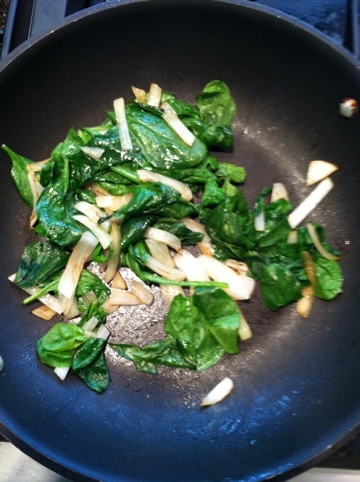 When the onions were just right I added the spinach and let it wilt just a bit. 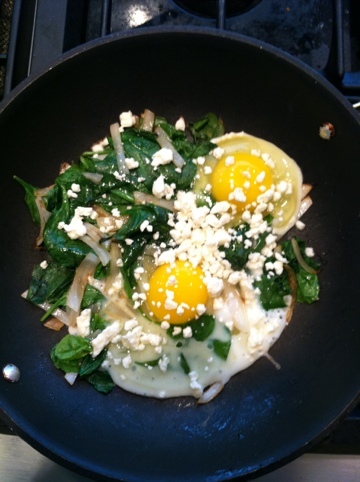 After that I added the eggs and feta and mixed it all up. It was amazing. I suggest you try it.